A new series of eight lute sonatas by Silvius Leopold Weiss, transcribed for the first time for guitar are published by Metropolis Music Publishers. 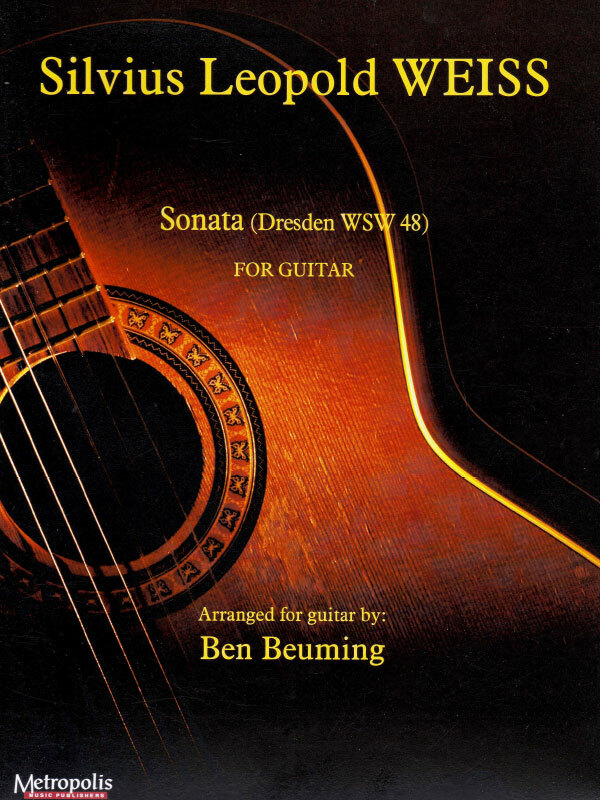 Five Sonatas come from a set of tablature manuscript volumes in Dresden, three are from the British Library in London. All sonatas are transcribed and arranged in 2015. Silvius Leopold Weiss (1687 – 1750) was probably the greatest composer of lute music in history, ranking with Francesco da Milano and John Dowland, the two outstanding figures of the Renaissance lute. 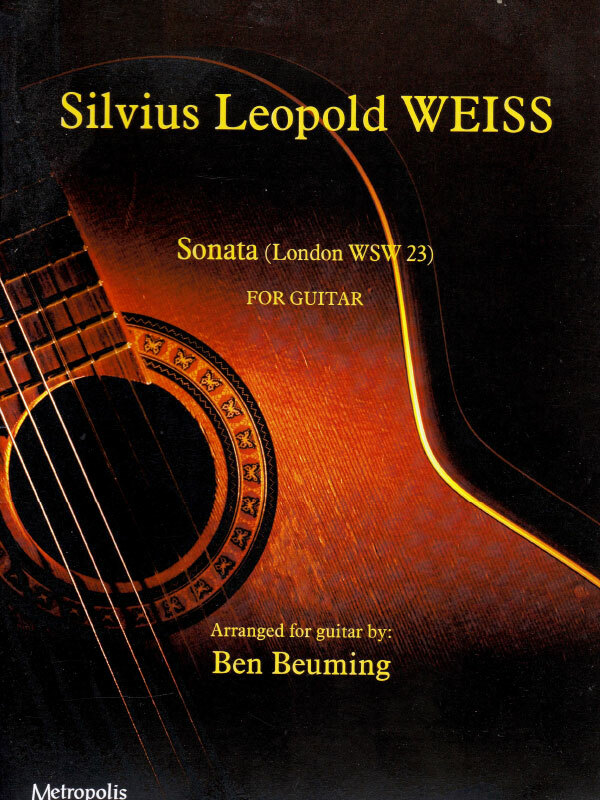 Weiss certainly was the most technically accomplished lutenist of the 18th century. 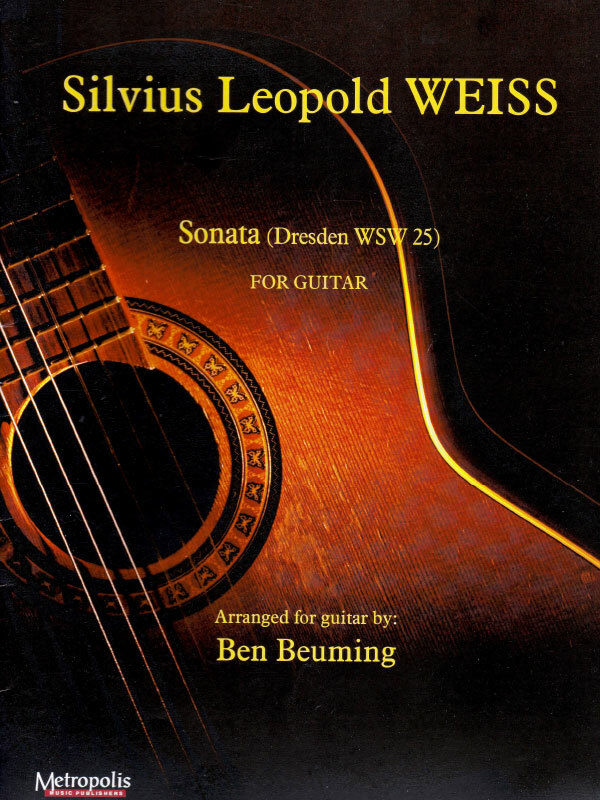 The set of eight sonatas is a mix of early and late works of Weiss. Composed between 1706 and 1745.